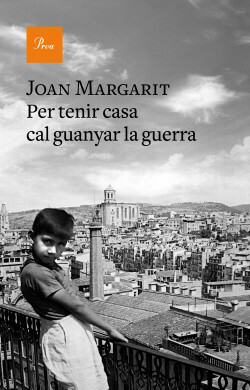 These memoirs of Joan Margarit’s childhood are profound and illuminating. The poet doesn’t look through old datebooks or photo albums, doesn’t give in to nostalgia, doesn’t care if things are disagreeable: instead he plunges into those recollections that have lingered in his mind and tries to understand why they are there and what their relationship is to his life and his poetry. Joan Margarit writes to understand life––not just his life. Only a good poet can turn a personal anecdote into a universal symbol. The intention of these pages is to discover the value of life in a childhood and adolescence that aren’t always pleasant.